Philly DoGooder II launched its second annual awards ceremony on March 12th in Hamilton Hall at the University of the Arts in Philadelphia. Fittingly scheduled around Oscar season, the Philly DoGooder II felt more like a star-studded gala than a local awards show, embellished with a red carpet and photographers. 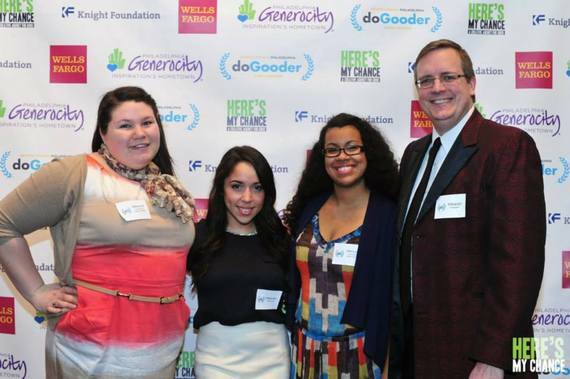 For first-time nominee and startup nonprofit, Schools For Sustainability, this was a highly anticipated evening. "Advance, Foster, Strengthen, and Generate"
Philly DoGooder partnered each contestant with local filmmakers to create a promotional video that detailed the story and purpose of the organization. Then, the polls opened up online and the public voted on their favorite "story" and community builder. Schools For Sustainability (S4S) was partnered with filmmakers Kara Pokropski and Scott Bille to tell their story and announce to the world their mission. S4S's goal is to establish self-supporting high schools that empower communities and teach students to grow organic food, manage water, use renewable energy, and manage waste. The video not only detailed the school's curriculum and vision, but it also described the journey of S4S co-founder Alyssa Ramos-Reynoso. She stated, "We established integral relationships with Kara and Scott. As a result, they became quick allies who are interested in continuing to document our story and journey through film." "...When I was sleeping under a bench in the subway, I visualized a school where all students had their needs met. They never had to worry about water or food, and they felt safe. But most importantly, they were learning the skills that they needed in order to take control of their lives and make the world a better place." From its inception, S4S has grown to include an eager bunch of participants from many different backgrounds who represent several internal departments. 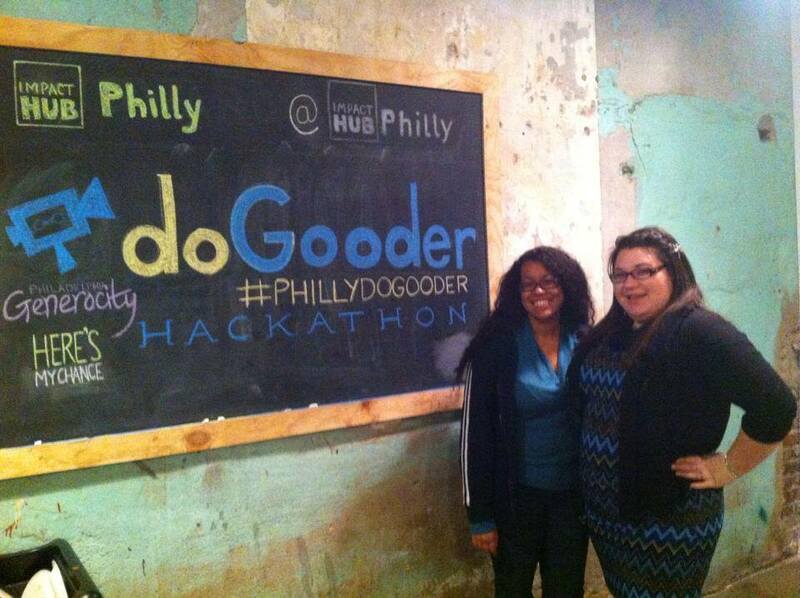 Entrepreneurs, students, architects, financial advisors, volunteers and interns alike share the same vision and played a vital role in the promotion of the Philly DoGooder video. Without a main office and battling many diverging schedules, S4S Executive of Administration, Jacquelyn Crutchley, assigned specific networking tasks to each intern according to their personal strengths. This ensured that no intern was left behind and that they all played an indispensable role. The interns, mainly consisting of full-time students and recent college graduates, executed daily goals. Devoting at least two hours a day to networking and encouraging their peers to vote, interns and volunteers David Bafumi, Grace Bennett, Jake Crutchley, Troy Healey, Andrea Landis and Mai Nasrallah registered voters on Philly DoGooder's website and made frequent Facebook announcements. Meanwhile, Healey took the social media world by storm, posting daily status and updates on Facebook and Twitter. Nasrallah, New York resident, took advantage of her long distance and vast influence by registering over 100 contacts. Peggy Goldman, President of Friendly Planet Travel, a local agency in Jenkintown, PA., distributed a newsletter that featured S4S to over 150,000 individuals. Recognizing the importance of winning the grand-prize marketing package, Co-founder and Executive Director of Strategy, Adrienne Redd, and Executive Director of Technology, Leon Stankowski, reached out to their personal networks, encouraging people to vote for our S4S's video. These collaborative efforts managed to captivate the attention and support of thousands. The outcome was victorious. S4S received over 3,500 votes, earning them second place in the Viewer's Choice Award and the grand prize marketing package worth $30,000. 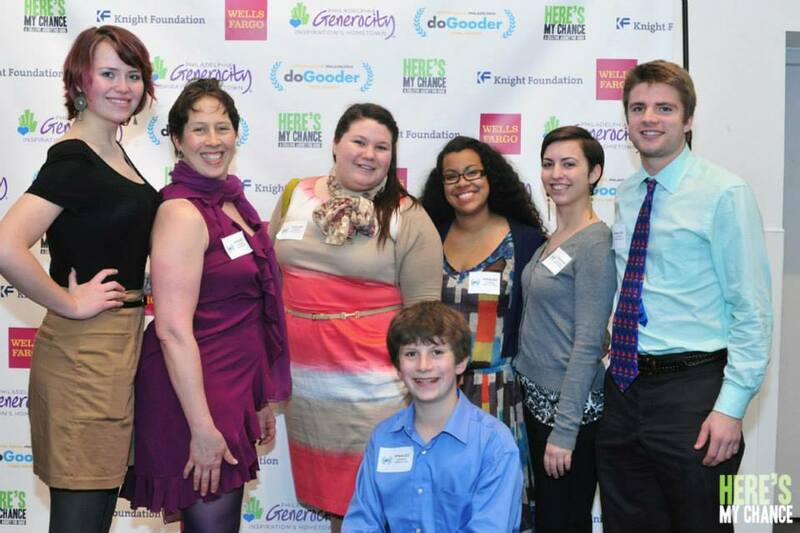 The exposure generated by Philly DoGooder made S4S a clear winner and ignited more involvement. Arcadia University student, Jillian Fecteau, joined the team during the voting process after she saw the video. She immediately assembled voting tables at the university and scoured the campus for supporters. Newcomers Binita Mandalia and Kimberly Weller also took action after seeing the video and have volunteered their expertise in fundraising, branding, and grant writing, not to mention the hundreds of eager supporters who have expressed interest in donating to S4S once crowdfunding begins. Now that the Awards are behind them, Schools For Sustainability can focus all of its energies on delivering their mission. Andrea Landis is a writer and graduate of Arcadia University with a BA in History and Spanish. She studied abroad in Puebla, Mexico, where she volunteered as an English teacher at a local elementary school. Further exploring her passion for the Spanish language, she documented her journey on the El Camino de Santiago, a six-week cultural pilgrimage through Northern Spain. 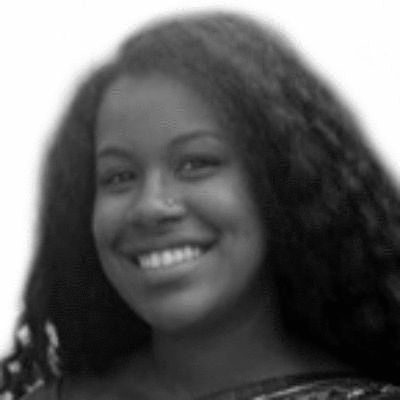 Andrea currently works as a grant writer for Schools For Sustainability, a global startup nonprofit based out of Philadelphia.